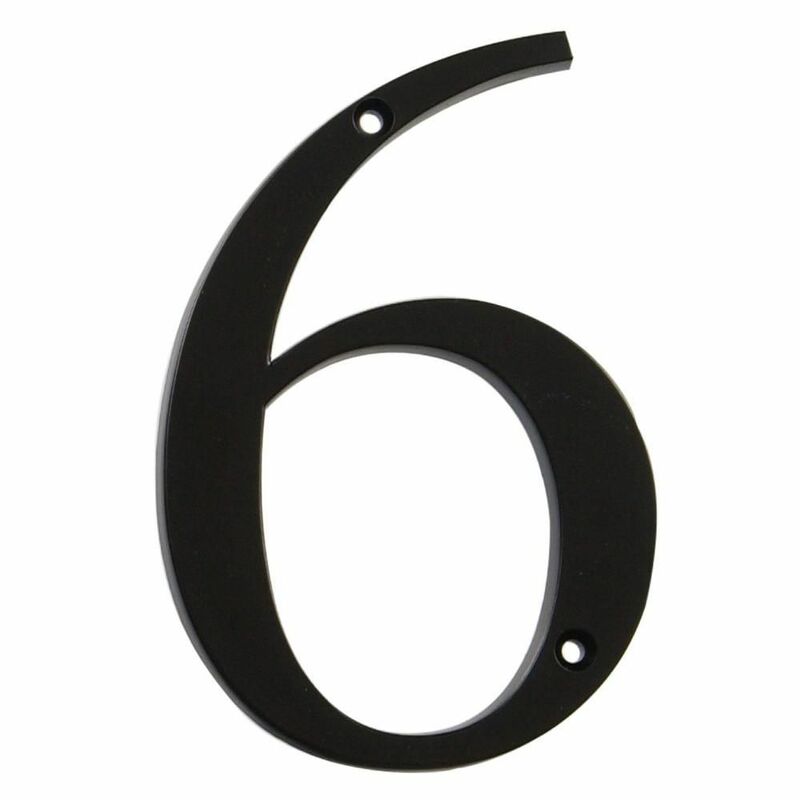 4 Inch Black House Number 6 Accent your house with the Hillman Distinctions line of house numbers. 4 Inch Black House Number 6 is rated 5.0 out of 5 by 3. Rated 5 out of 5 by DeeLa from Clean and classy These numbers were exactly what I wanted, clear and visible, perfect size and font. I have them up against a white background and they pop nicely. Very, very happy! Rated 5 out of 5 by DIYBob from Clean lines, easily read, simple to mount with 2 screws included with product This product is simple and durable. The screws to mount the number is included in the package. I put this number on my house (wood fiber siding) to show my street address. High visibility mounted on a light colored, street side of my house.